Cutting Tool Design - Custom Cutting Tool Design | RTS Cutting Tools, Inc.
RTS Cutting Tool's engineering department offers 3D SolidWorks prints of your special cutting tools. We provide 3D simulations of your special cutting tools to give you an exact 3D replica of your tool for design approval. When designing your special cutting tools our engineering staff remains focused on reducing the cost per hole. ANCA CIM3D and Vericut 3D are state of the art software packages for the simulation of the grinding and milling process for all CNC Tools. These powerful packages save you time when designing the tool geometry, and optimize both the grinding and milling process. 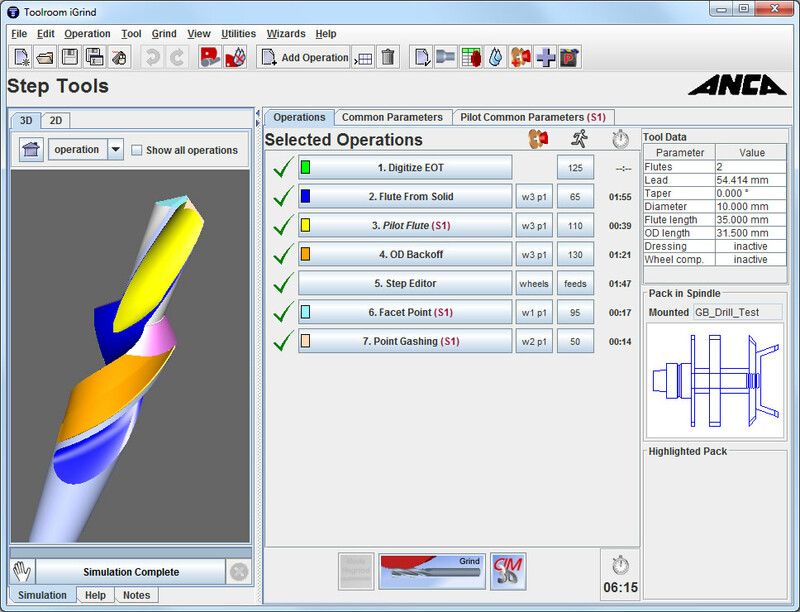 The resulting model can be freely moved, zoomed or rotated for the user to view every detail of the tool. The resulting tool geometry data are transferred directly from these packages and supplied to the machine’s user interface. The use of state-of-the-art simulation technology to evaluate and validate tooling designs can identify potential problems with the design prior to the manufacturing of the tool.